Hibs today launched a new innovation for Scottish football which will allow supporters a “hassle-free” opportunity to buy shares in the club online. 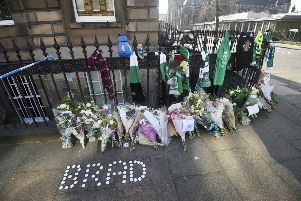 The Easter Road outfit is committed to offering fans the chance to take a controlling interest in the club and the original share issue which ended in August – allied with the ongoing activity of the collective ownership vehicle Hibernian Supporters Limited – has seen the supporters’ stake leap from around two per cent to more than 20 per cent. It also saw some £500,000 pumped into the club which went directly to head coach Alan Stubbs’ budget. However, supporters who wanted to buy shares direct had to go through a complex process including consulting an Independent Financial Adviser to comply with the law but now they can buy with the few clicks of a button.